Welcome to exclusivity. Nestled within the serenity of District 19 near Upper Serangoon Road, and with only 28 choice homes for your selection, the development is strategically located and easily accessed via the PIE, CTE and North East Line. 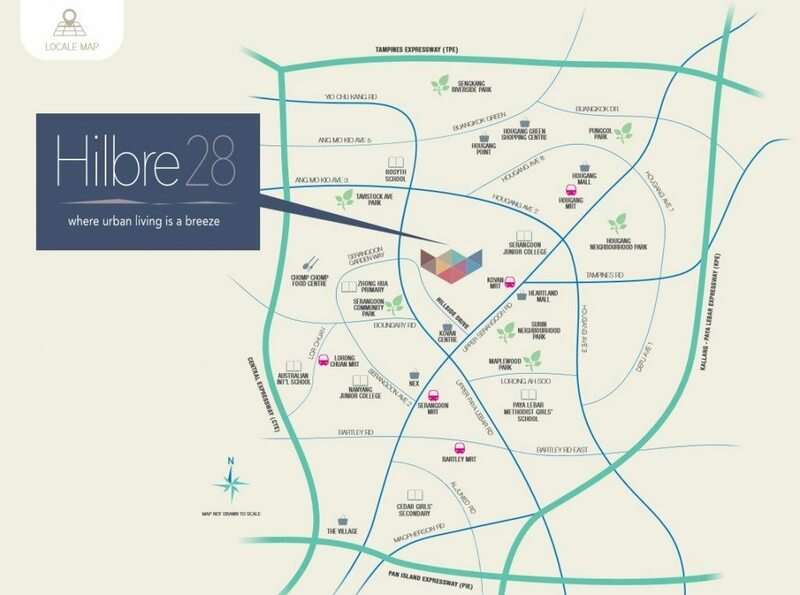 Surrounded by an elite neighbourhood of low-density residential enclaves, the spacious units of Hilbre28 make for ideal homes that are highly sought after. At Hilbre28, a world of serenity and easy accessibility awaits you. Relish the luxury of having it all within easy reach. Be pampered with malls of activities, schools of repute, parks of greenery, popular F&B hot spots, and everything that makes a quality life come true. A fun-filled shopping trip is always close at hand. We are only minutes away from the bustling malls of NEX and Heartland. The glamorous Orchard stretch, eclectic Bugis district and glittering Marina Bay precinct are but a few MRT stations away. Coming home or heading out has never been easier. With the Kovan and Serangoon MRT stations nearby, and the PIE and CTE just minutes drive away, traveling to and fro is easy and convenient. Live in a world of your dreams, away from the predictably routine. Reside in perfect harmony, in a home where peace and tranquility reign. It’s all here, and it’s all yours for the taking. Embrace the joys of life thoroughly on the city fringe. Partake in the revelry of leisure as the revitalising comfort and calm envelope you. Spend the day luxuriating in simple cloud gazing. Take in the panoramic view from a vantage point. A rejuvenating dip in the cool water invites, with a gentle touch of the hill breeze borne across the unique cross-ventilated architecture. The thoughtful provision of expansive, well-designed and ergonomic living spaces deserves your top priority. No of Car park lots : 31 car park lots – 28 resident car park lots, 3 visitor carpark lots and 1 handicap carpark lot. Expected Legal : 31 December 2021 or 3 years after notice of Vacant Possession Completion whichever is earlier.